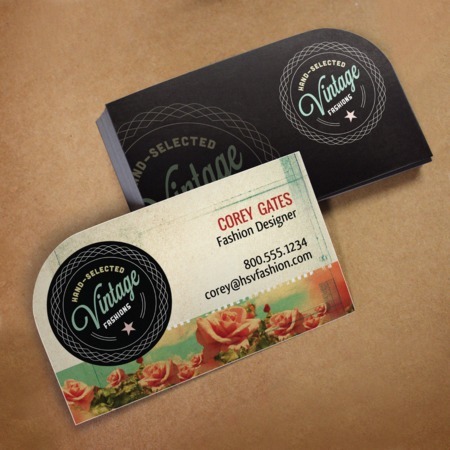 Single rounded corner business cards are like standard rectangular business cards––but with a twist. They are great marketing tools because they have a subtle difference that will make quite an impact among a sea of rectangular business cards. Single rounded corner cards, for these reasons, are popular with food, photographer, design, and beauty-related businesses. Hand them out during conferences and business meetings to see the difference. With a great design, your cards will make a long-lasting impression on the people you meet and turn them into customers and business partners. Here at UPrinting, single rounded corner business cards have the standard 2” x 3.5" dimensions. These are printed on a 14 pt. gloss, matte, or high gloss cardstock. You have the option to print one-sided or on both sides. Print as few as 25 to as many as 10,000 cards with a 2, 4, or 6 day printing turnaround.